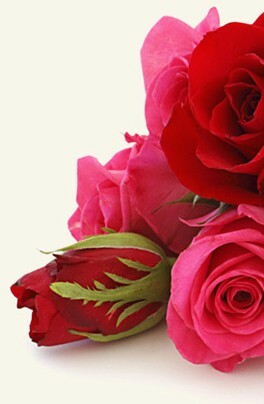 Login to my flowers4tenerife.com account to track the status of your order or visit our customer service page. 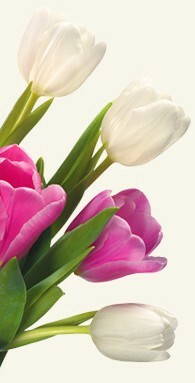 Login to my flowers4tenerife.com account to modify your order or visit our customer service page. All changes must be 24 hours before delivery. After that time, we cannot guarantee there will be enough time for the changes you request. At Flowers for Tenerife we only use the very best in security for our online payments. We use PayPal for our online payments and as one of the largest payment processors in the world their security is top notch. flowers4tenerife.com keeps customer information completely confidential. Our company does not share customers' personal information for third-party use or sell it to advertising agencies. In the event of a legal requirement, fraud, or law-enforcement request, your personal information may be shared upon request from the relevant authorities. The delivery costs are: Abades 34.00 EUR, Adeje 15.00 EUR, Alcala 28.00 EUR, Alcala 23.00 EUR, Aldea Blanca 15.00 EUR, Amarilla Golf 15.00 EUR, Cabo Blanco 9.00 EUR, Callao Salvaje 18.00 EUR, Charco Dl Pino 18.00 EUR, Chiguergue 28.00 EUR, Chimiche 34.00 EUR, Chio 28.00 EUR, Chirche 28.00 EUR, Costa Adeje 10.00 EUR, Cruz De Tea 23.00 EUR, El Medano 18.00 EUR, El Salto 18.00 EUR, Fañabe 15.00 EUR, Golf Del Sur 15.00 EUR, Granadilla de Abona 18.00 EUR, Guargacho 10.00 EUR, Guia De Isora 28.00 EUR, Guia de Isora 28.00 EUR, La Caleta De Adeje 15.00 EUR, La Camella 9.00 EUR, La Escalona 15.00 EUR, La Jaca 34.00 EUR, La Sabinita 9.00 EUR, Las Chafiras 15.00 EUR, Las Zocas 15.00 EUR, Los Abrigos 15.00 EUR, Los Menores 23.00 EUR, Marazul 23.00 EUR, Montala De Yaco 18.00 EUR, Municipal of Arona Arona Town 9.00 EUR, Municipal of Arona Buzanada 9.00 EUR, Municipal of Arona Cabo Balanco 9.00 EUR, Municipal of Arona Chayofa 9.00 EUR, Municipal of Arona Costa del Silencio 9.00 EUR, Municipal of Arona El Fraile 10.00 EUR, Municipal of Arona Guaza 10.00 EUR, Municipal of Arona Las Galletas 10.00 EUR, Municipal of Arona Los Cristianos 10.00 EUR, Municipal of Arona Palm Mar 10.00 EUR, Municipal of Arona Playa de las Americas 10.00 EUR, Municipal of Arona Valle San Lorenzo 9.00 EUR, Playa La Arena 23.00 EUR, Playa San Juan 23.00 EUR, Poris De Abona 34.00 EUR, San Isidro 18.00 EUR, San Miguel De Tajao 28.00 EUR, San Miguel de Abona 18.00 EUR, Santiago del Teide Los Gigantes 28.00 EUR, Taucho 23.00 EUR, Tejina De Guia 28.00 EUR, Tijoco 28.00 EUR, Vilaflor 18.00 EUR and Villa De Arico 34.00 EUR. How do I contact flowers4tenerife.com customer service if there is a problem? Use my flowers4tenerife.com account to access your account and contact customer service. Alternatively, call our customer service department.